Welcome to Holy Spirit Antiochian Orthodox Church located in Huntington, WV. We hope that you find its contents both edifying and informative. 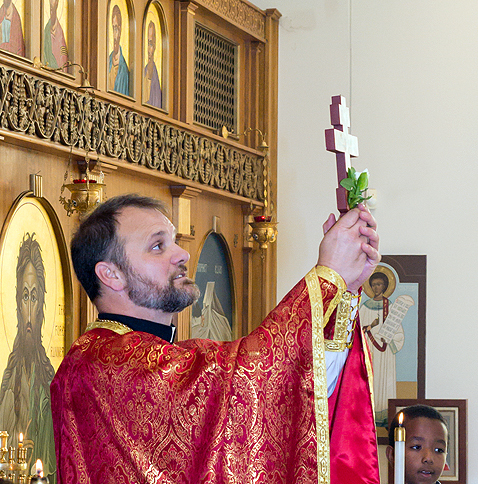 Holy Spirit Orthodox Church is not “ours,” but she belongs to God. As such, she is home for all those whom God is calling into the fold of his Holy Church – that Church which has been faithful since Pentecost in proclaiming the Good News of Jesus Christ. We are home for many “cradle” Orthodox, with roots particularly in Lebanon and Syria, whose forefathers came to this country to search of freedom and a better life for their families. It was here in Antioch that the disciples were first called Christian, where St. Peter and Paul preached, and where for two thousand years, and against incredible odds, the Orthodox Christian faith has been preserved. We also have many who have come from Catholic or various Protestant backgrounds but who have embraced the fullness of the Orthodox faith.For all those in search of the One, Holy, Catholic, and Apostolic Church – welcome home!